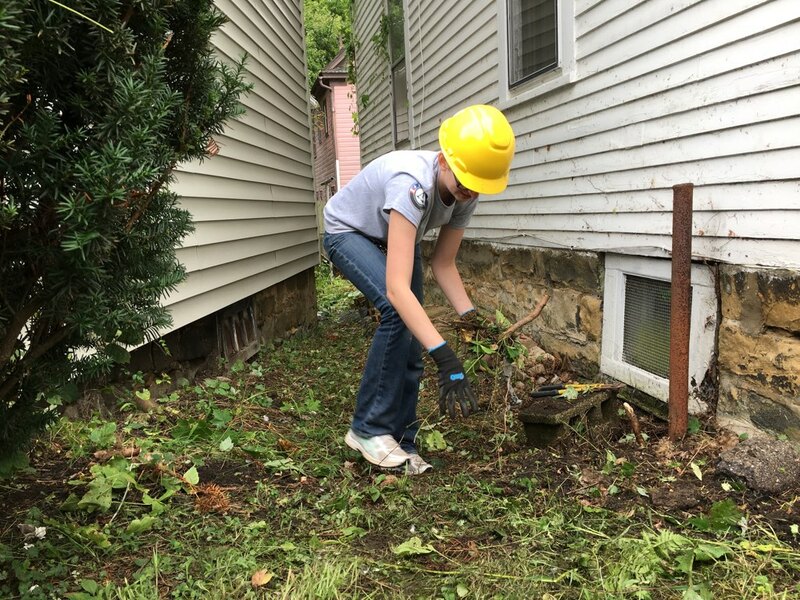 OIL CITY, Pa. (EYT) – Bridge Builders Community Foundations and Keystone SMILES Americorps joined forces for renovations of an Oil City residence on Tuesday, September 11, National Day of Service and Remembrance. Americorps members, volunteers, and staff worked together on an Oil City residence owned by Bridge Builders Community Foundations. 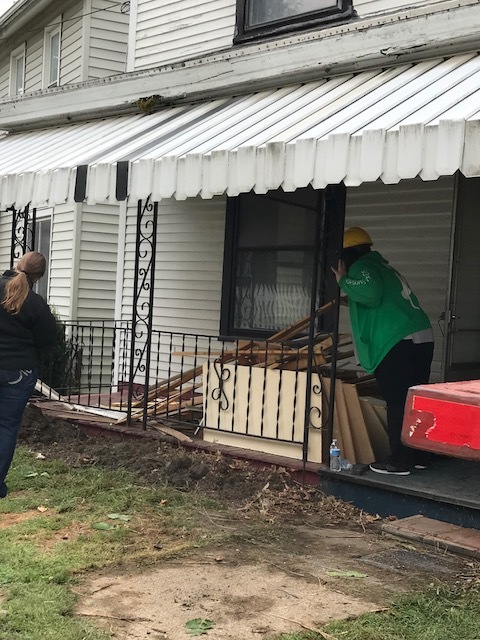 The home, which is located at 304 East 3rd Street in Oil City, was donated to Bridge Builders by Bette Gharing who passed away in October of 2017. Moulin approached Keystone SMILES AmeriCorps about collaborating in the renovations. He thought that with their House of Trades/YouthBuild Project, the organization would be the perfect partner agency on this project. 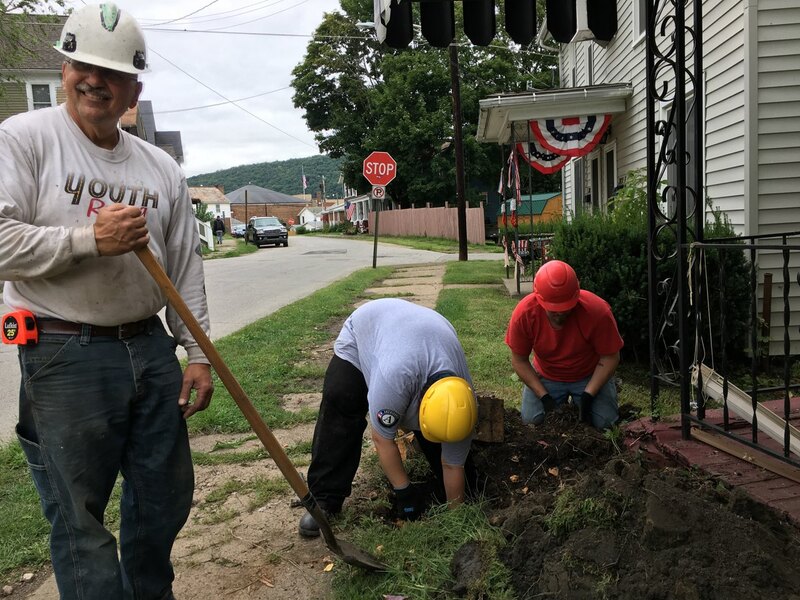 On Tuesday, September 11, AmeriCorps members from surrounding counties joined members who live and serve in Venango County to dig in and help with the renovation project. 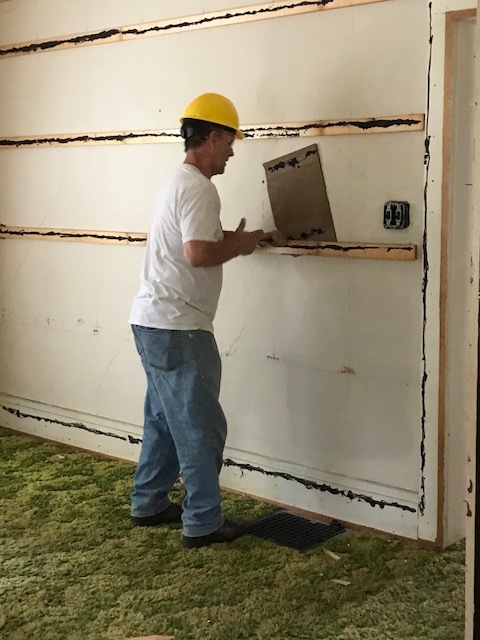 “We also started demoing the inside so we can redo the downstairs area,” Fosdick added. According to Fosdick, the skills training program utilizes volunteers from the alternative education program, seeking to teach them skills for around the home and for minor repairs to help them become self-sufficient when they have their own home, while also giving back to the community. “We’re also using this as a hands-on training lab for individuals interested in the construction trade,” Fosdick noted. 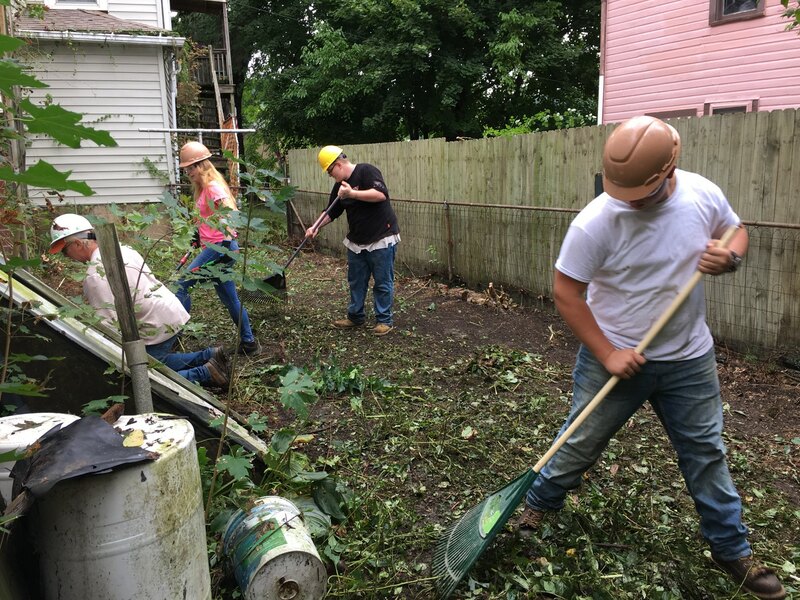 Though the volunteers spent a large portion of the day on Tuesday working on the house and property, both Fosdick and Moulin noted there is still a great deal of work to be done. “We hope to have the house done by spring,” Moulin added.